It’s a question we’re not afraid to ask: how does the Chick-fil-A Original Chicken Sandwich stack up against other chicken sandwiches out there? Turns out our friends over at TheStreet were pondering over the same question. And so as part of a midweek experiment, six taste testers compared Chick-fil-A’s #1 menu item, the Original Chicken Sandwich, with Shake Shack’s Chicken Shack sandwich. What’s the secret that makes Chick-fil’A’s Original Chicken Sandwich so great? The original recipe, created in the 1960’s by restauranteur and Chick-fil-A Founder Truett Cathy. Cathy’s cooking method is still the way it’s done more than five decades later, and his recipe is still a secret. 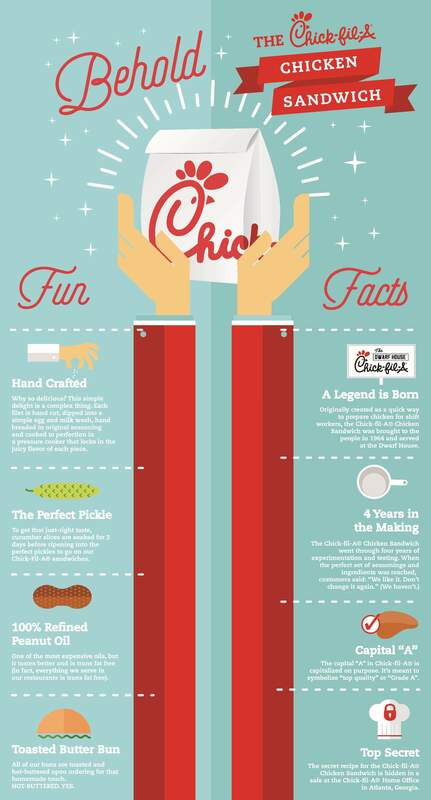 While we can’t share the secret recipe, we can reveal some fun facts about how the Original Chicken Sandwich is made at each of Chick-fil-A’s more than 2,000 restaurants nationwide.